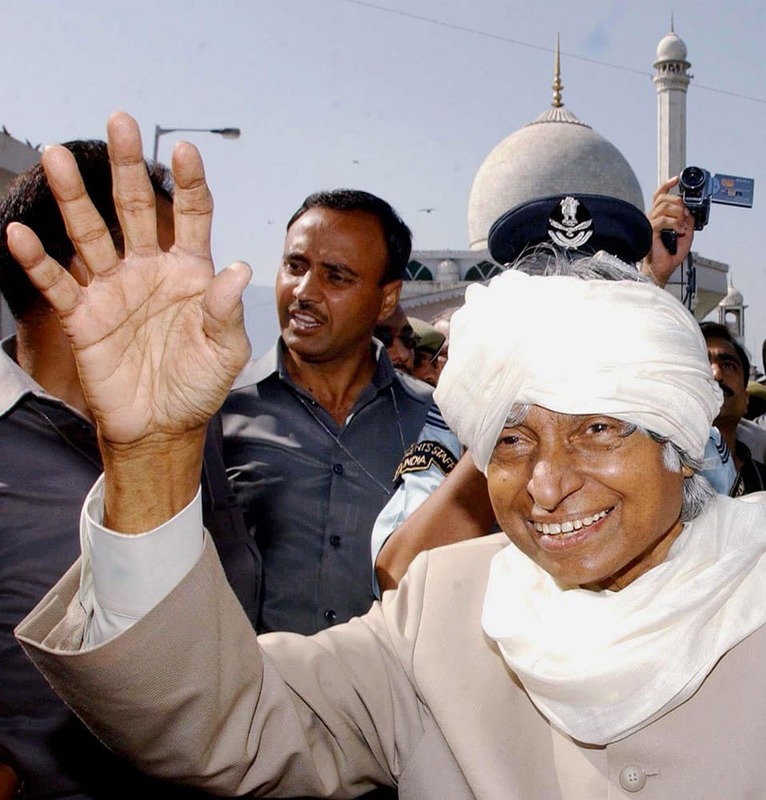 File photo of former president APJ Abdul Kalam in Srinagar in June 2003. 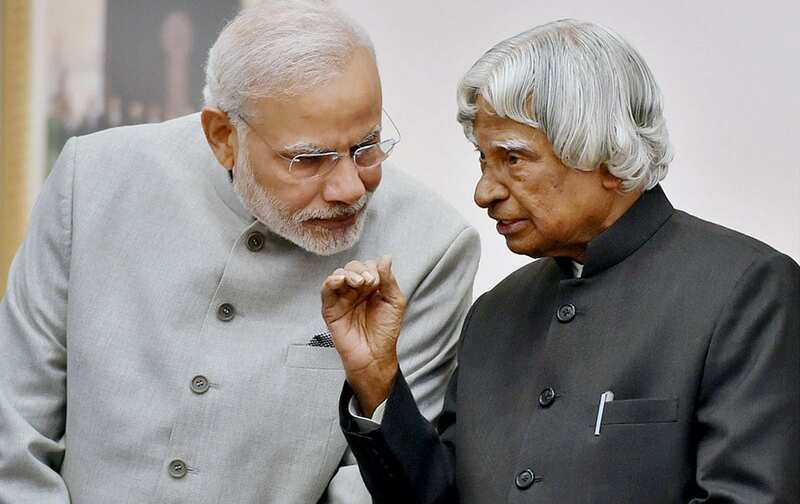 File photo of former president APJ Abdul Kalam with Prime Minister Narendra Modi in New Delhi in Jan 2015. 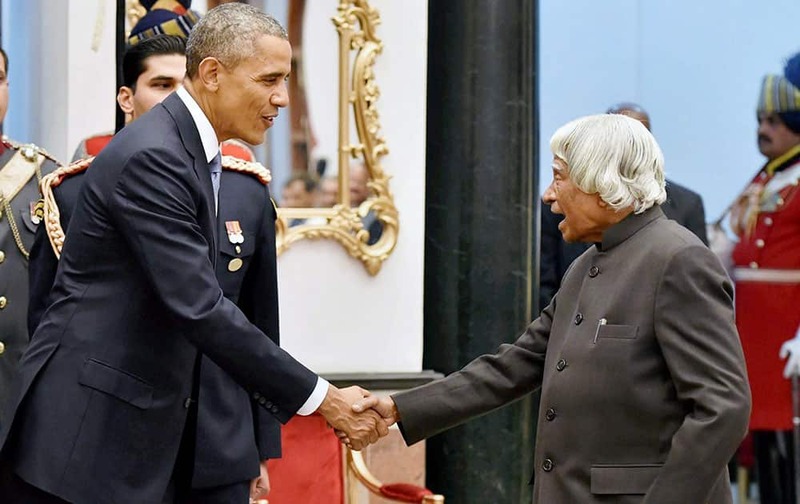 File photo of former president APJ Abdul Kalam with US President Barack Obama in New Delhi in Jan 2015. 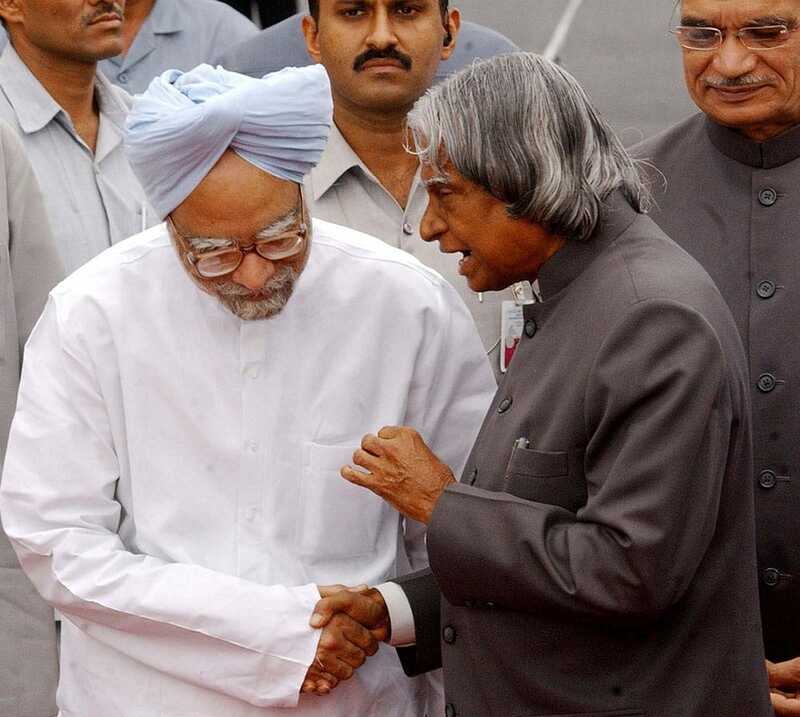 File photo of former president APJ Abdul Kalam with former Prime Minister Manmohan Singh in New Delhi in Sep 2004. 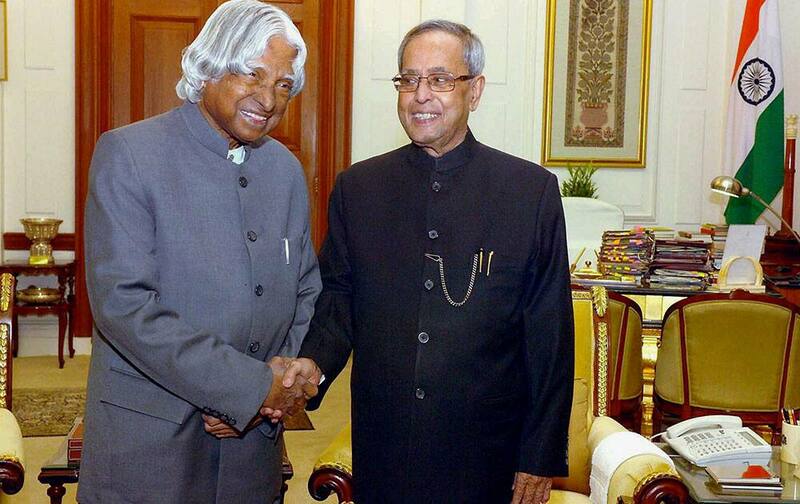 File photo of former president APJ Abdul Kalam with President Pranab Mukherjee in New Delhi in Dec 2014. 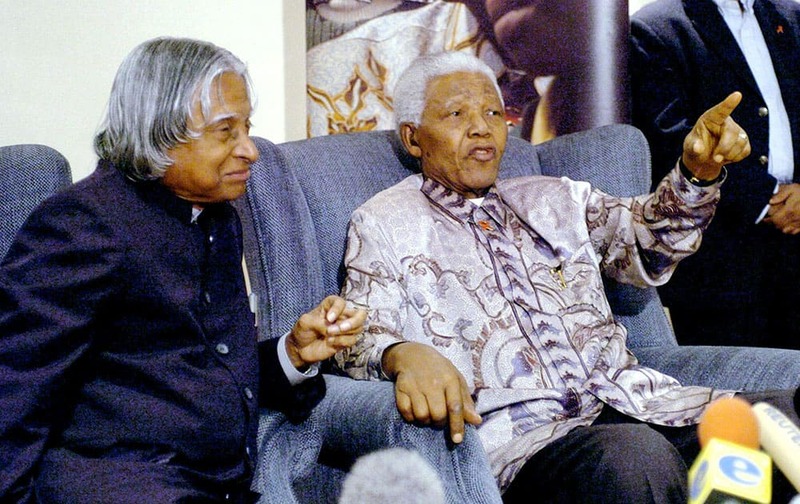 File photo of former president APJ Abdul Kalam with Nelson Mandela in Johannesburg in September, 2004. 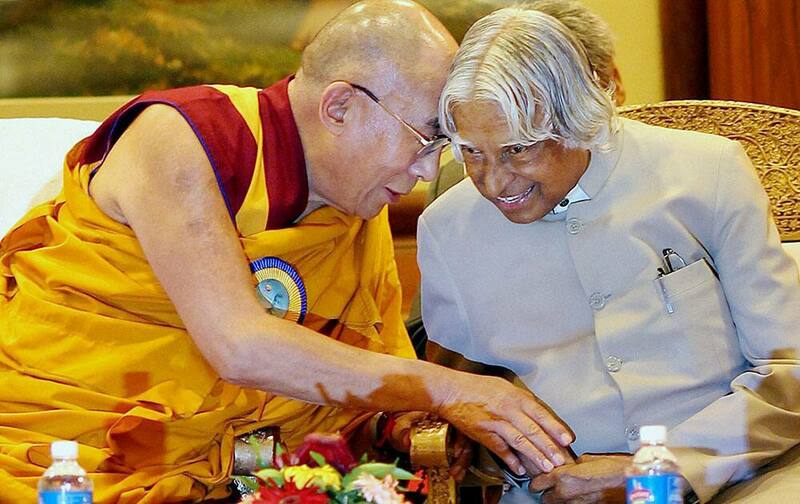 File photo of former president APJ Abdul Kalam with Tibetan spiritual leader Dalai Lama in New Delhi in Nov 2012. 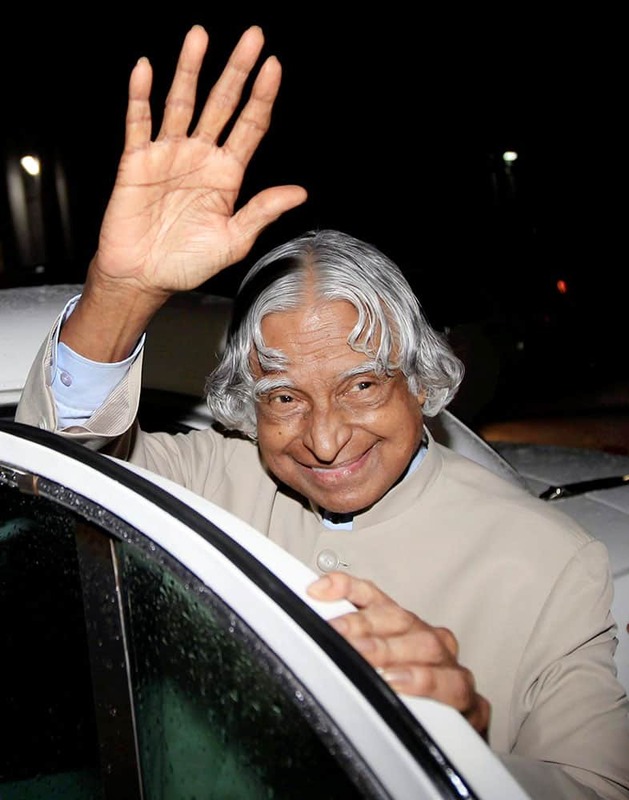 File photo of former president APJ Abdul Kalam with former Prime Minister A. 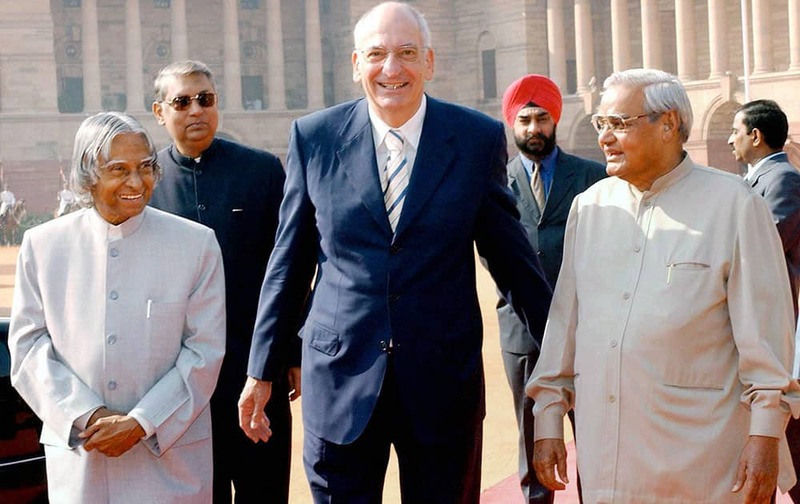 B. Vajpayee and Swiss President Pascal Couchepin in New Delhi in Nov 2003. 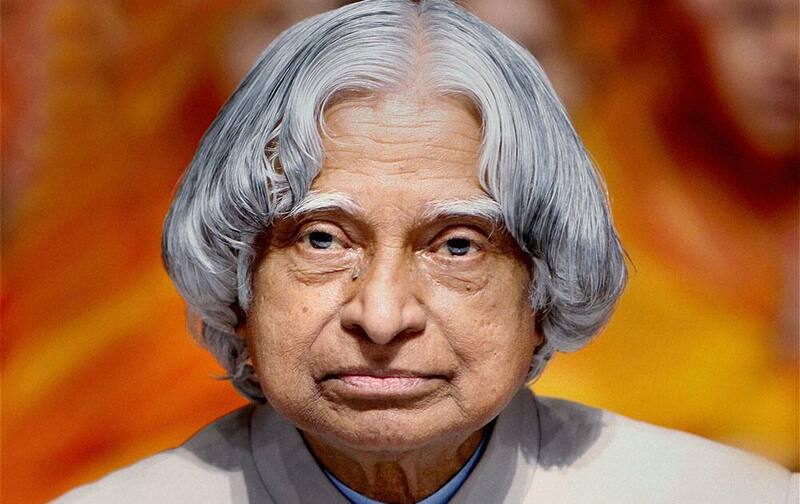 File photo of former president APJ Abdul Kalam. 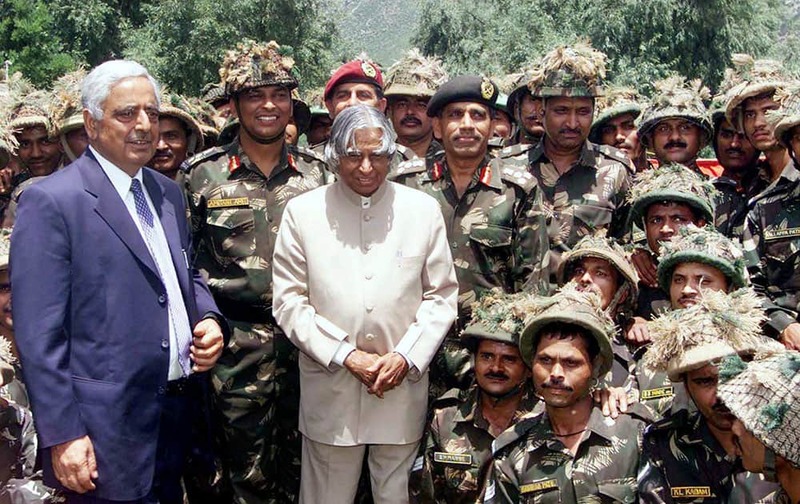 File photo of former president APJ Abdul Kalam with J & K Chief Minister Mufti Mohammad Sayeed in Uri in June 2003. 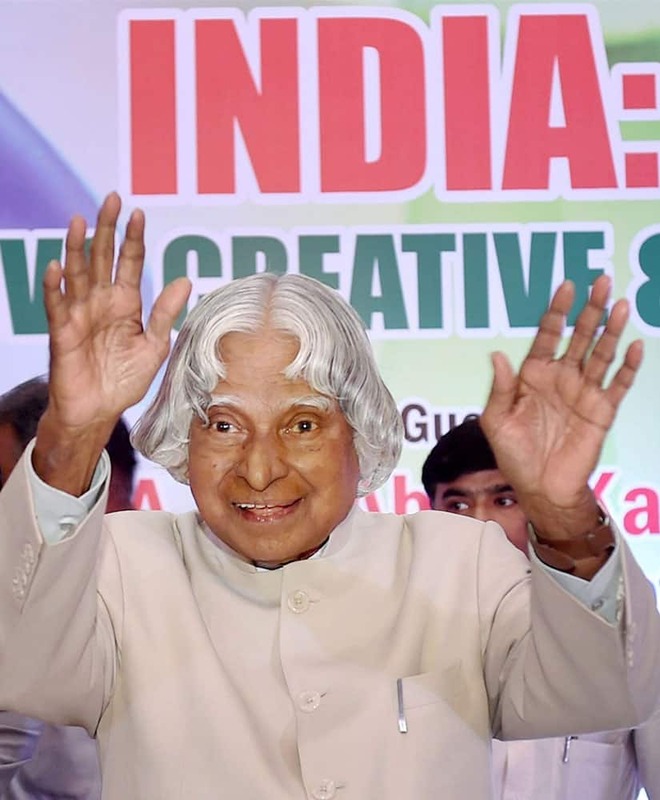 File photo of former president APJ Abdul Kalam in Mumbai in June 2010. 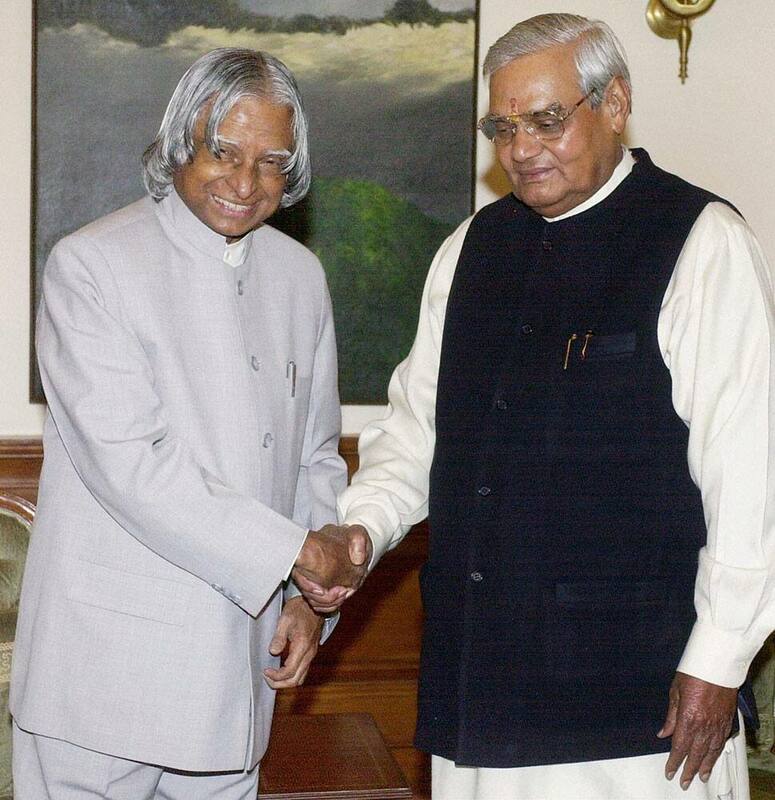 File photo of former president APJ Abdul Kalam with former Prime Minister Atal Bihari Vajpayee in 2003. 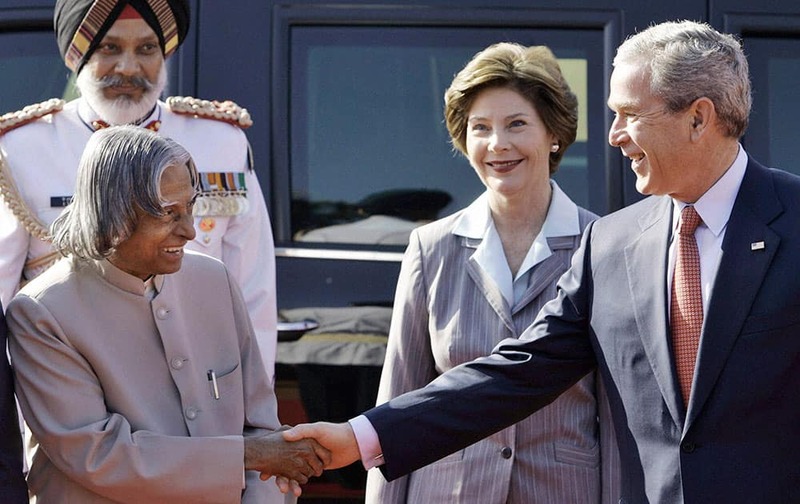 File photo of former president APJ Abdul Kalam with U.S. President George W. Bush and his wife Laura Bush in New Delhi 2006.